Seriously delicious. Seriously easy. 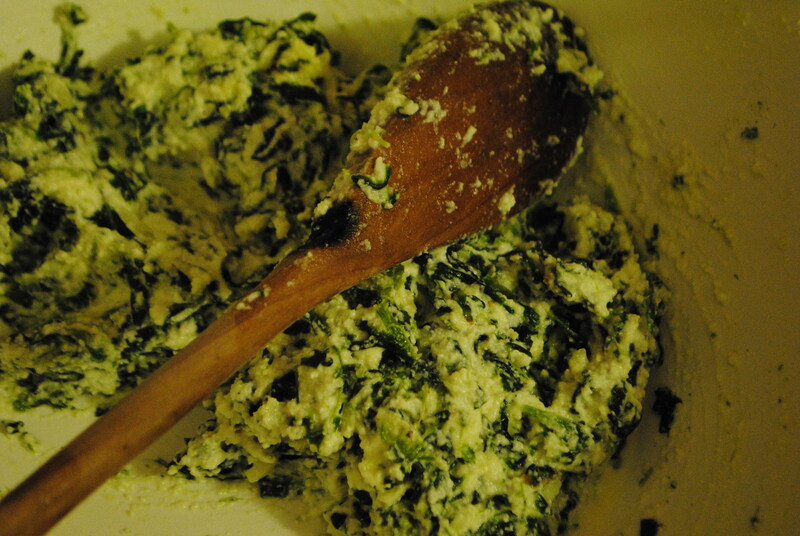 Just mix up a container of ricotta, spinach(I just thawed a package of the frozen stuff), a handful of mozzarella cheese, 1/4 cup grated parmesan cheese, a little garlic powder, salt and pepper and then spread it on your cooked lasagna noodles and roll those suckers up. 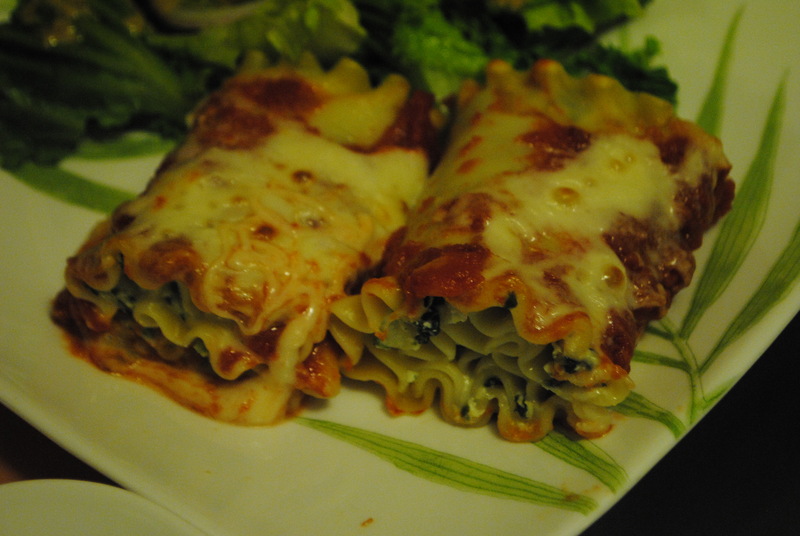 Top it off with your favorite tomato sauce and mozzarella cheese. Bake covered at 450 degrees for 20 minutes, uncover and bake for another 10-15 minutes(or until your cheese is golden). 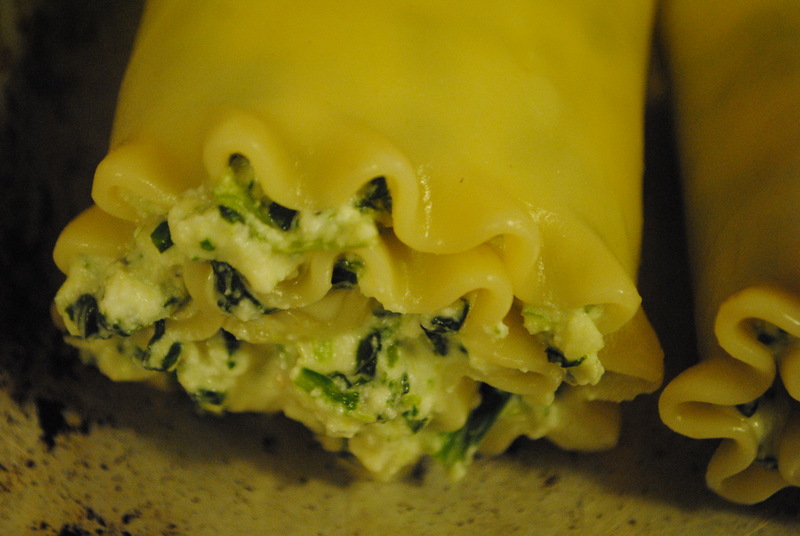 If you don’t like the crunchy noodles, I recommend just keeping it covered the entire time. Even the kids ate it up!! 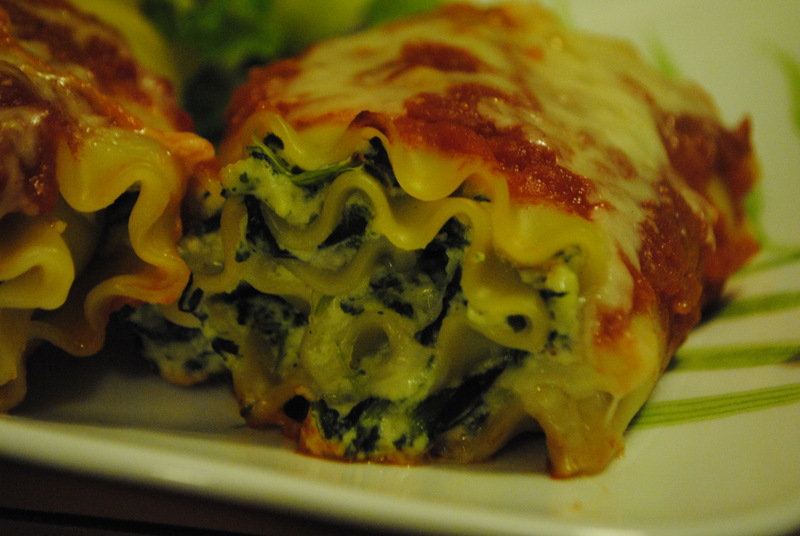 This entry was posted in Uncategorized and tagged bake, cheese, easy, healthy, italian, lasagna, mozzarella, parmesan, quick, ricotta, roll, simple, spinach, vegetarian, yummy by themcdorkins. Bookmark the permalink.